So good they came back for more! Opened Aug 2001. Includes western extension to orginal stone-walled, slate-roofed building and new block to north-east. 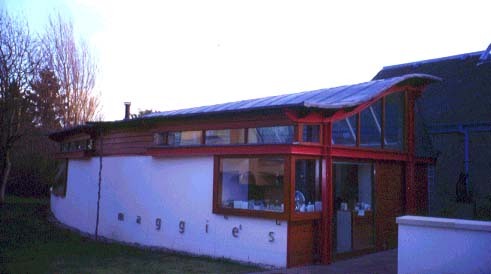 Maggie’s Centre was conceived by the late Maggie Keswick-Jencks as a place where cancer sufferers could drop in for information and understanding, and seek independent, alternative advice and treatment. 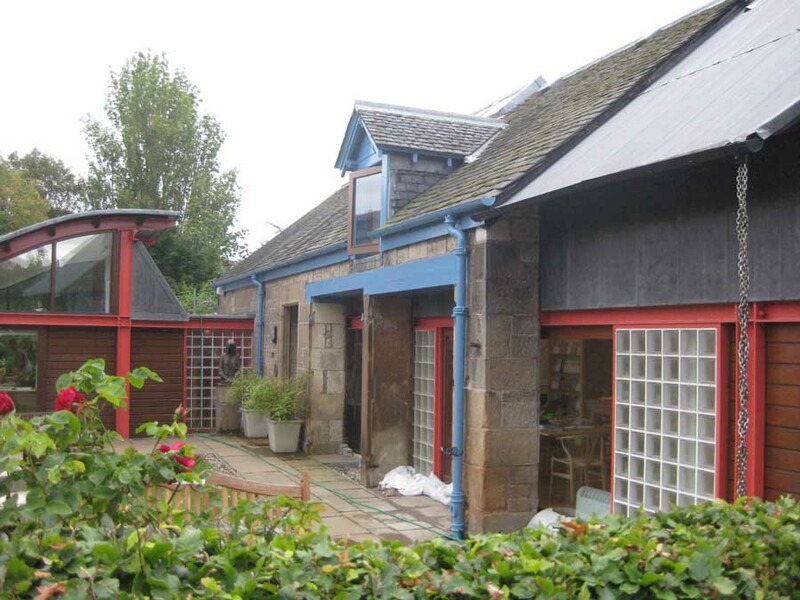 The aim was to provide an informal domestic environment, as opposed to the institutional nature of many NHS hospitals, within a simple Victorian stable block. 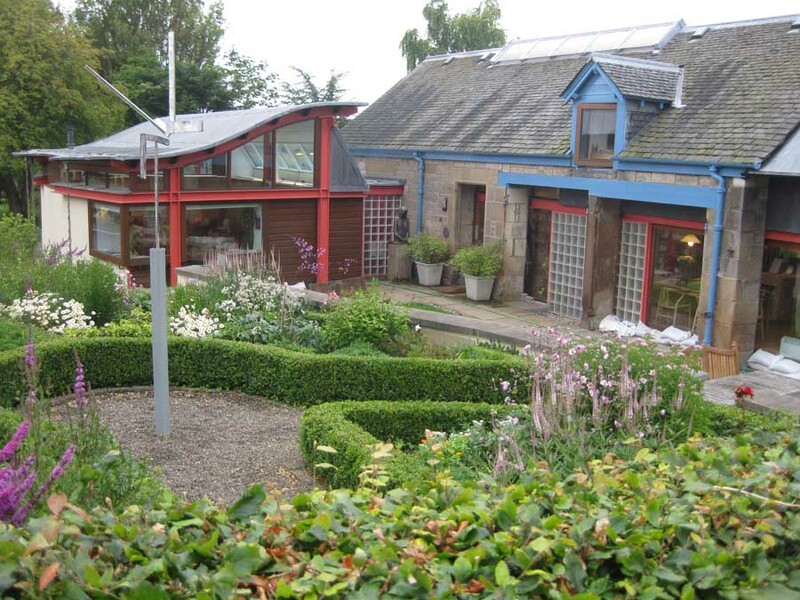 Maggie and Charles Jencks, the famous architectural writer and theoretician, along with Laura Lee who runs Maggie’s Centre, appointed Richard Murphy Architects (RMA) to design what has become ‘Phase 1′. The Edinburgh Western General Hospital Trust donated a site on the hospital’s southern boundary. RMA’s response was typically to create a layered response which worked with the existing structure. 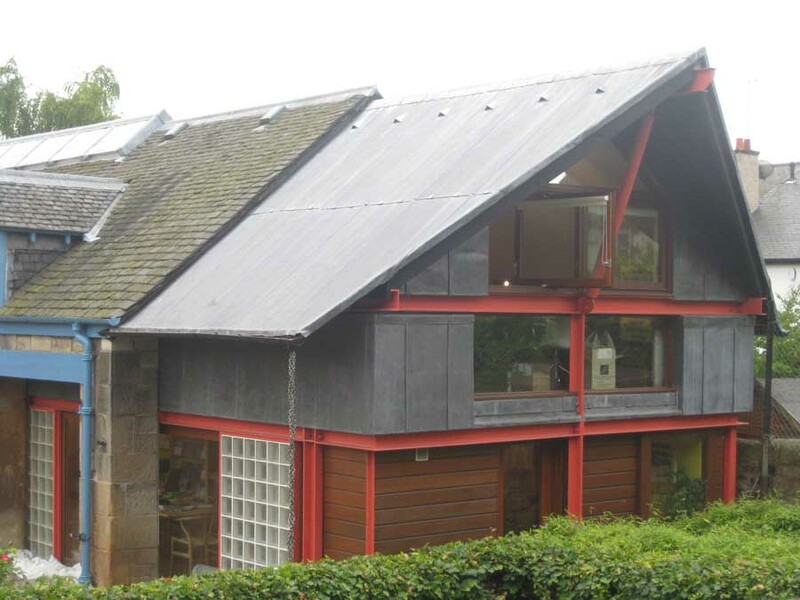 Richard Murphy favourites of exposed steels, glass blocks, intricate stairs and timber sliding doors abound. Five years after completion, RMA were asked to extend the building, doubling its size but retaining its domestic feel, adding two large meeting rooms, additional office space and a consulting room for visiting therapists. The space increase was split west and north-east of Phase I. 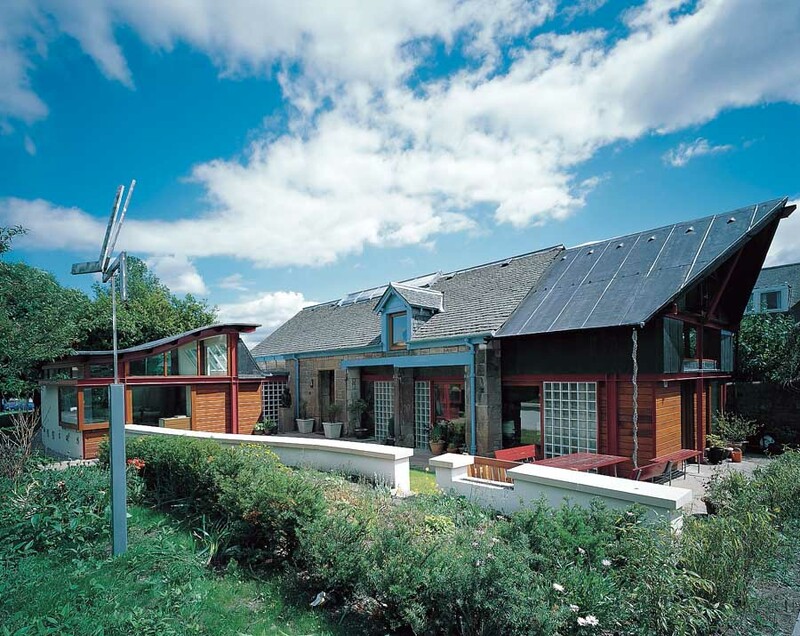 The western extension extrudes the original roof form but in new materials, with an untraditional apex formed of a mild cantilever to the ridge. The extension to the north is linked to the existing building, but is an independent structure containing a single, divisible large meeting room. It has a low wave-shaped roof. Maggie’s Centre flourished. Half of the visitors simply drop by for conversation and information. Its success is such that an ambitious building programme is currently under way, with various big-name architects designing ten centres around the country – Frank Gehry in Dundee, Daniel Libeskind in Cambridge, Page and Park in Glasgow and Inverness, Zaha Hadid in Kirkcaldy, Frank Gehry in Dundee.